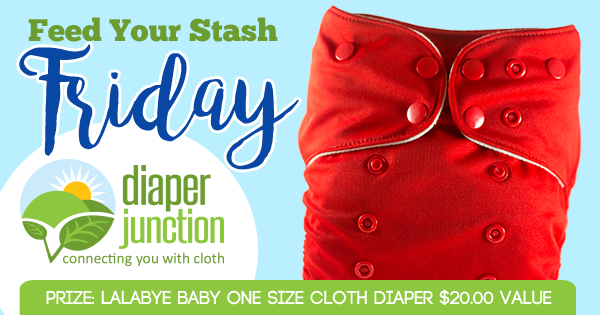 Win a Lalabye OS Cloth Diaper from Diaper Junction! 1/19/18 FYSF, Win a Lalabye OS Cloth Diaper of your choice! Welcome to a new FYSF weekly cloth diaper giveaway! This week we're featuring Lalabye Baby. Enter for your chance to win a Lalabye OS Diaper of your choice from our in stock selection! The Lalabye Baby One Size Diaper is a unique two-in-one style diaper that can be used as a pocket style diaper or an all-in-two diaper. Simply stuff the pocket OR snap the bamboo terry inserts in place--whichever option is most convenient for your family! The diaper shell has four adjustable rise settings and smartly designed color-coded snaps to ensure you get the perfect fit on your baby. The inside of the diaper is lined with a soft stay-dry fabric. The bamboo insert set is constructed of thirsty bamboo terry, providing ultimate absorbency in a trim fitting cloth diaper. Enter to win a Lalabye OS Diaper of your choice from Diaper Junction's in stock selection. I would love to win this! I don’t have any Lalabye diapers so this would be great! ?? I don't have this brand in my stash yet. Would love to try it. Merrily merrily is beautiful!would love to win one if these!havnt tried them yet. Starting a stock for first baby! Would be great to win! !